Join the InnovAge Foundation for its third annual Early Bird Special fundraiser on February 23rd from 4:30 p.m. to 9 p.m. 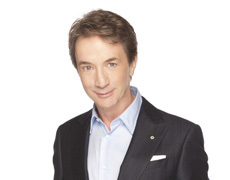 This is an event not to be missed and will include cocktails, dinner, auctions, music and comedy from celebrated comedian and actor, Martin Short. A dinner party with a twist of laughter and memories, this event is designed to celebrate Colorado seniors and support innovative programs that help them age independently. The InnovAge Foundation is a nonprofit organization that channels community support and funding to sustain and enhance the independence and quality of life on their terms for those we serve. We support the programs of InnovAge, serving more than 26,000 seniors annually through InnovAge Johnson Adult Day Program, InnovAge Home Care and InnovAge Greater Colorado PACE. Tickets are limited, so reserve yours today. Visit MyInnovAge.org <http://www.myinnovage.org/innovagefoundation/event.aspx> now to RSVP today.